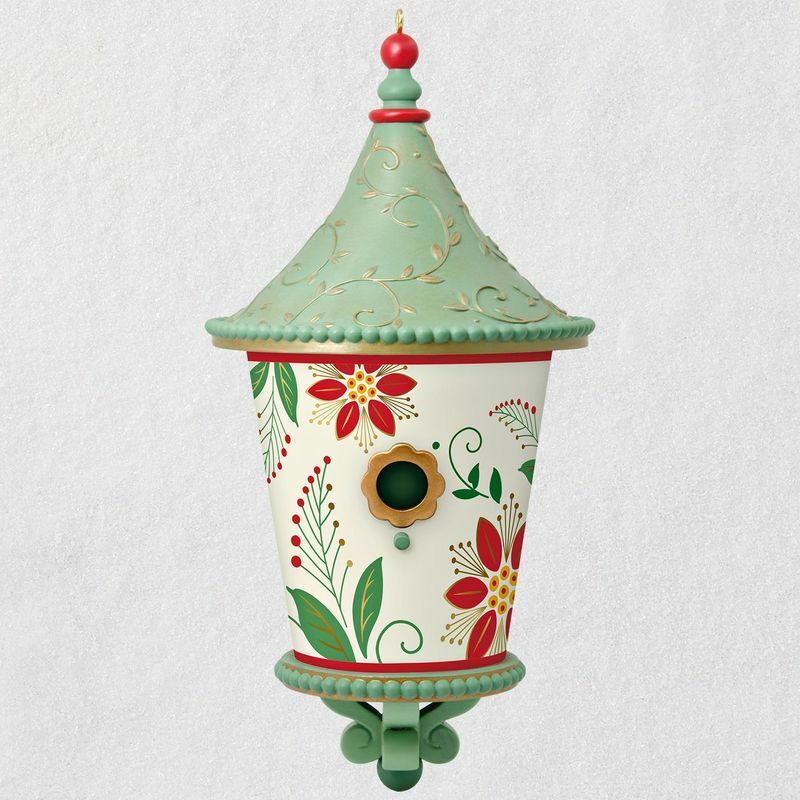 This 3rd and final ornament in the Beautiful Birdhouse series brings a touch of outdoor whimsy to your tree. 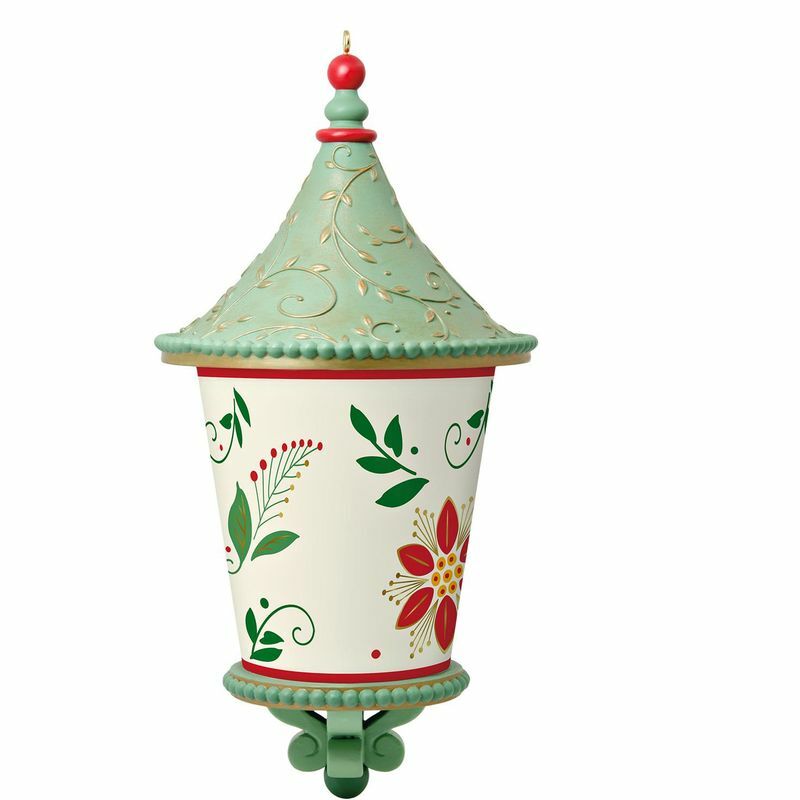 The cylinder-shaped birdhouse is painted with a delightfully festive holiday design of red and green poinsettia flowers and berries. 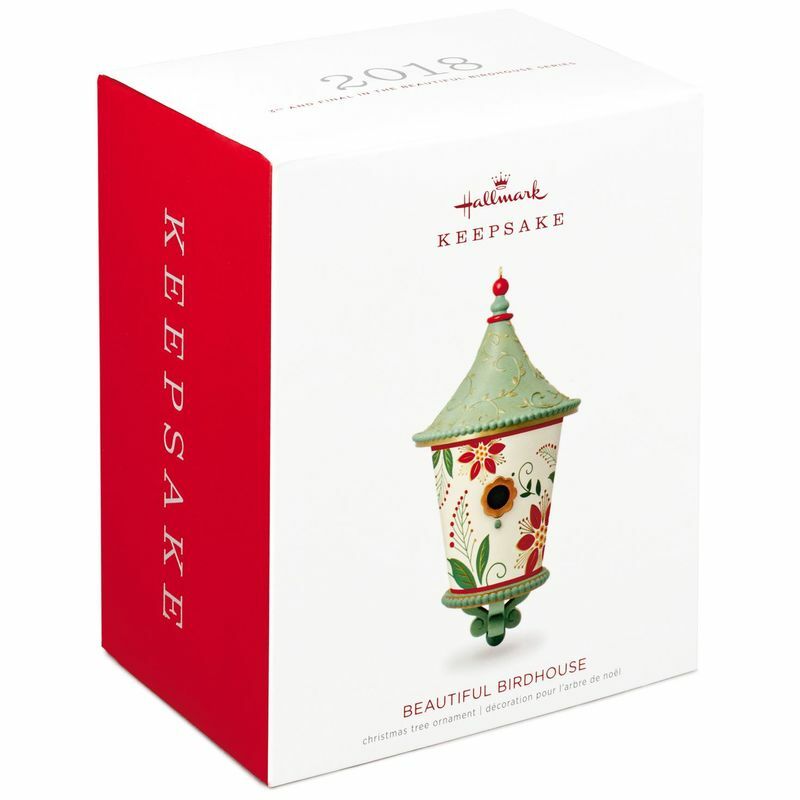 Bird watchers will love this adorable Christmas tree ornament. Measures: 2.53" W x 5.08" H x 2.53" D.